88 scholarly books by Parkhurst Brothers, Inc. The struggle is real. It has purpose. You are not alone. These sixty-some meditations by Roger A. form a record of his battle with the demons of addiction. We trust it will allow others in recovery to find hope. This is an easy-to-read guide for mentors, mentees, professors of business, and business graduates is a must-read for all professionals written by a retired senior manager. Although intended for a business audience, the advice in this book is appropriate for employers and employees from any discipline. With chapter headings like Teaming and Trust, Communication, Humanity in Business, and The Bottom Line; Work Hard, Do Right, and Have Fun, it is apparent that this man understands what motivates people to do their best work and how to communicate his ideas to employers and employees alike. One hundred twenty-two sonnets that touch on contemporary American popular culture, social trends, and personalities. Poet Roger Armbrust is described by some as a mystic, by others as a spiritualist, and by yet others as a guy who toys with really big thoughts, making them objects both of serious study and of humor. 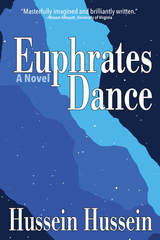 His sonnets will push you to laughter and meditation: a satisfying literary ride. In The Aesthetic Astronaut, Roger Armbrust escorts readers on an insightful journey throughout Earth and beyond. We experience the loneliness and instpiration of "the Aesthetic Astronaut"; cold-blooded calculations of "The Armchair Assassin"; passion and sense of the romantic lover; reflective memories of a gentle heart growing older; ironic vision of an observer to history, and subtle--and sometimes not so subtle--humor of a fellow human involved in our day-to-day challenge of living a worthwhile life. The poet's imagery and attitude. . . may fascinate, thrill, sadden, anger, or push you to laughter or meditation. But you'll find the trip a fascinating literary ride. What are the drivers of creative writing:: passion, drive, and fear of rejection? What is the cardinal rule: honesty (to a vision, a voice)? Armbrust, an editor and creative-writing instructor, argues that the struggle to write is reflective of the deeper spiritual consciousness of the writer. He challenges writers to address their inner demons, being honest to their truest selves, and to wrestle their eepest doubts in their quest to produce the best literature. “One semester, my creative mentor William Packard asked me to teach his poetry-writing course at New York University’s School of Continuing Education and Professional Studies. He did so because I had taken the course, he considered me a good poet, and knew I was teaching a professional-writing course of my own at NYU. Each time I’d walk in to instruct his poetry-writing class, I’d scratch on the chalkboard two brief sentences: Go Deep. Take Chances. These two suggestions represent, I believe, the keys to creativity.” Many nutsand- bolts pointers (gleaned from decades of writing and advising others) benefit writers of all experience levels. This book leads writers to better understand and execute the extremely focused work of creative writing, while at the same time enjoying a fuller sense of self, serenity and fulfillment. There is a mythic quality to the poetry of Roger Armbrust. Whether his subject is surgery or angels, his language and vision—while expressed in an earthly lexicon—are focused on the life of the spirit. My poetry honors your architecture’s mystery. Fanciful, yet rooted in real experience, Armbrust’s one hundred-plus sonnets incite passion and introspection, so that the collection makes an inspired lover’s gift. An investigative reporter for a statewide newspaper connects the dots on an interstate jewel fencing scheme which leads to the capitol city mayor’s door, and implicates a would-be governor. The reporter, a Vietnam vet whose keeps his black ops background under wraps, is attacked by rogue cops, who also threaten his daughter and his girlfriend. His USMC training, unknown to his assailants, saves him from serious injury, but danger on the national scene draws his attention. With a former United States Senator who shares his concern for the unstable new administration in Washington, the reporter finds himself in the midst of a plot to return the federal government to stability, but by means that shock him to the core. 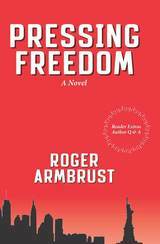 A political thriller born of our current national turmoil, this first novel by a seasoned journalist will leave the reader with wide eyes and a quickened heartbeat. Some kids have to grow up fast. This is the story of Lonnie Tobin, one such young man. Weary of the physical abuse his mother is subjected to from his father, he takes matt ers into his own hands. Convincing her to flee their fearful home life, son and mother sneak away in the night to the small town of Rocky Branch, where they find peace with her family. It is a corner of the world he thought they had left behind forever. But mysteries abound in this little wooded village, and an unexpected adventure begins when word of a nightly monster on the loose stirs fear among the residents. Young Lonnie soon forgets about his father and becomes fascinated by the story, only to find he might be spending a litt le too much time on The Strange Side of the Tracks. 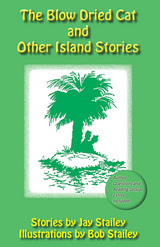 Uncommon folktales and a few old favorites revived and retold for young people and tradition keepers. 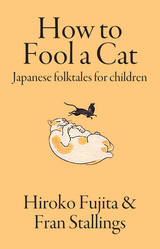 Folk and fairy tales celebrate different cultures and ways to see the world. 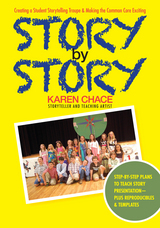 Karen Chace’s book, Story by Story, Building a Storytelling Troupe is a must have for anyone even slightly interested in starting a storytelling group with students. I know I am guilty of sometimes skipping over sections, but every word that Karen writes is important and useful distilled (and therefore potent) information. Ms. Chace not only tells you what to do to run a successful troupe, but also WHY you need to do it. This is, to me, very important. Sometimes one is tempted to skip things, but this book explains how important the steps are. Everything from how many hours Karen thought it would take, to ACTUAL hours, where the funding comes from, how and why to lay foundations and expectations (including ‘no teasing policies’ and group dynamics), right the way through presentation skills to advertising the event and getting bums on seats (emphasis important)! 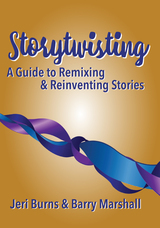 Over the years Karen has and continues to come up with new and inventive ways of teaching the skills of storytelling, and a great many of these exercises and activities are included in the book. When it comes to research and materials as well as technique, Karen adds new meaning to "thorough". There are links to websites for stories, for grants, for microphone techniques, and how storytelling connects to the school curriculum and more. And if you prefer to read books, there is an extensive bibliography, too. Basically, I believe if you want to succeed in building a storytelling troupe or group, all you need is Karen Chace’s book, Story by Story, Building a Storytelling Troupe and to do everything Karen suggests. I am sure it would be very hard to fail if you follow her words of wisdom between the covers of her goldmine of a book. Residents and visitors have an urban-outdoor haven in Little Rock: actually more than two dozen of them. They are the hiking trails, biking trails as well as the canoe and kayak-read waterways within the city and immediate area. 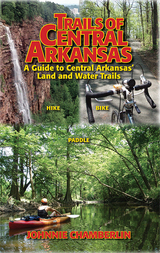 Whether your passion is a quiet walk in the woods, a mountain-climb, fishing, bird-watching, or a quiet float, this handbook will help you find and use the trails and waterways of Little Rock. It has not been easy to value play. Mainstream culture urges us to rush and finish what we are working on to quickly advance to the next task at hand. Too often we must punch our time clock forward without much consideration. As the minutes and hours move, we indirectly communicate both to ourselves and the world no time remains to play; we must work. 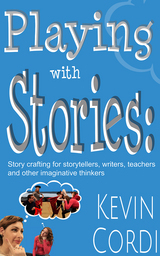 In this book, you will discover new ways to work with your story craft and find new story direction using play. Indeed, play is a meaningful way to create and learn. In both childhood and adult play, the imagination plays a central role in the meaning making process. Although there are many types of play: school-based, recess, sports, this work is rooted in play inviting the writer, storyteller, or imaginative thinker to make choices as they work to create meaning in their work. I will share how collaborative play can increase your choices when making a story. You will find not only exercises to build your story making and telling skills, but pedagogy of practice to use when called to create story. --Rex Ellis, Director of Museum programs, Smithsonian Institution, Washington, D.C.
An anthology of traditional and original stories with commentary for using the stories to help troubled teens in need of character formation and re-formation. Also for use in general classrooms and youth activities to undergird healthy character formation in the pre-teen and teen years. 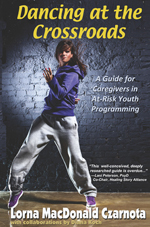 Mentoring teens can be a wild dance. As adults we count and measure our movements but teens have created their own music and their own steps, they dance to the cycle of adolescent change in an effort to become one of us, though they would never admit that. 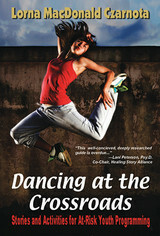 The books Dancing at the Crossroads: Stories for Mentoring At-Risk Youth, Practitioner’s Guidebook and Caregiver’s Guidebook are packed with the lessons of fifteen years in the field working with at-risk populations in runaway shelters, group homes, residential treatment facilities and one-on one with youth and parents. Out of a real understanding of these young people and their needs, and a passion for helping guide them into the adult circle, Lorna MacDonald Czarnota has compiled a collection of time-tested stories with activities, advice and information for parents and families, and a series of programs that storytellers, mental health workers, counselors, therapists, and others can utilize with groups of their own. 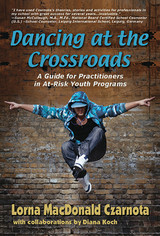 Dancing at the Crossroads: Stories for Mentoring At-Risk Youth, Caregiver’s Guidebook and Practitioner’s Guidebook are packed with the lessons of fifteen years in the field working with at-risk populations in runaway shelters, group homes, residential treatment facilities and one-on one with youth and parents. Out of a real understanding of these young people and their needs, and a passion for helping guide them into the adult circle, Lorna MacDonald Czarnota has compiled a collection of time-tested stories with activities, advice and information for parents and families, and a series of programs that storytellers, mental health workers, counselors, therapists, and others can utilize with groups of their own. 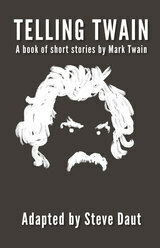 Updated versions of Mark Twain classic stories in the best tradition of comedic writing. All of the stories were originally penned by Mark Twain, including "The Jumping Frog of Calaveras County." The author is a contemporary American storyteller who has included notes for readers and re-tellers in addition to an introduction that comments on Mr. Twain and the era in which his stories were written. "A million questions about him began to line themselves up in my mind." Davis writes. "Where did he go to high school? I did not know." Did he get any education behind that? What were his early jobs, and where did he live then? I was now only twenty-eight, my father was dead, and I had been to young and immature to know to ask t=for the stories that would have filled out his life for me." That case of mistaken identity changed Donald Davis's outlook on the value of family and the need for story gathering. In the twenty-two years until his father's second death, he rarely let an opportunity pass to collect and cherish the stories of his life. Cripple Joe is the happy result. Davis tells how his father and an African-American hospital orderly quietly broke down racial barriers in their small mountain town. He tells how his father employed his humane brand of justice on an eager young chemist whose experiments veered into manufacturing gunpowder, on sons who nearly burned a barn, and on teenagers who organized a disastrous coed camping trip. 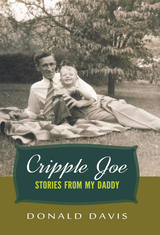 And best of all, he tells how Joe Davis--a man known as "Banker Joe" for his work in the loan department but to a select few as "Cripple Joe"--turned a gruesome accident into an opportunity that broadened his world and that of his son. A second novel, LESS THAN CHARMING tells the story of a world beyond a veil in which all of the characters writers have ever created are alive and living in their own society. As writers in the other—human world—constantly write new characters into existence, those characters emerge into this mirror world. A hierarchy evolves as every retelling of existing characters is layered onto the original, adding to and changing their personality, knowledge base, and sometimes their emotional stability. 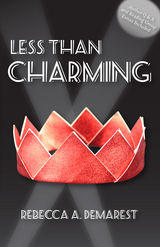 Prince Charming conspires to rule the society of characters, which includes every protagonist and foil you’ve ever found in a story or a book, and the prince is not as charming as you first imagine. One character sands in the Prince’s way—Princess Sophia from Grimm’s lesser known “12 Dancing Princesses.” She’s stable—mostly—but Prince Charming is most definitely not. The good Storyteller and the First Character have tasked Sophia with stopping the Prince from destroying their world, and, by extension, ours. "All too often both traditional storytellers and the media regard the Hero's Journey as the "one true recipe for a good story." In this well-researched and clearly written book, Dorothy Cleveland and Barbara Schutzgruber prove that there are other kinds of stories that are just as essential to the human experience: tales of survival and transformation that we may encounter at any point in our lives. With deep knowledge and personal honesty, these two incredible women bring us the Heroine's Journey, tracing its origins and possibilities from the oldest folktales to life in the 21st century. 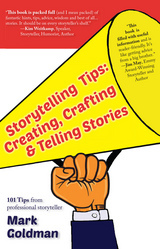 This book is a much-needed addition to any storyteller's resource library." Each of the twelve chapters represents a rung on the ladder of dynamic narrative development. Beginning with the most basic plot outline, Ellis leads readers through exercises and discussions of elements that build a story into a memorable reading or listening experience. The chapters include many topics of interest to all writers, regardless of medium, but some will speak most potently to those writing either fiction or personal narrative. 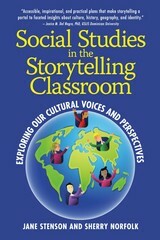 Chapters include Characterization, Point of View, Emotion, Context, Imagery, and Connection [with the reader]. 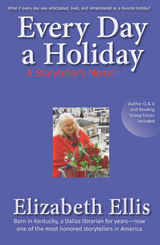 Herself a leading professional storyteller, Ellis also includes a chapter especially for those who plan to craft stories for oral performance. 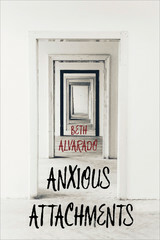 This book was written for anyone who wants to be free from the tyranny of stress and burnout. 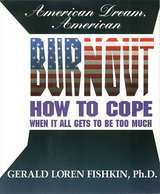 Burnout can affect anyone, especially in today’s world, where “The American Dream” has been replaced by the realities of a faltering economy, breakdown of the family and societal distintegration. Burnout is not a natural state, and no one should have to live with its emotional pain. Dr. Fishkin explains how to readjust couterproductive thought processes and behaviors and learn new, healthy methods for coping. He details both self-help techniques and suggested resources to reach out to the community or the workplace for assistance. 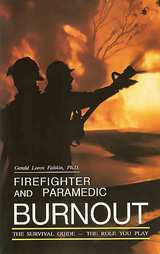 Firefighter and Paramedic Burnout was the first comprehensive book dealing with the recognition and treatment of burnout among firefighter and paramedic personnel. Today, this standard still serves to provide readers with a system of identification of early warning signs of excessive stress, its personal and social consequences, and interventions that have been proven to assist firefighters and their family members to return to a state of health and productivity. 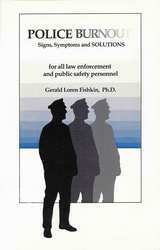 Police Burnout is the synthesis of Dr. Fishkin’s sixteen years experience as a police psychologist, and is a must read for all police officers, family members, police and public safety administrators, as well as mental health specialists who work in the area of law enforcement. It is a modern classic in the field of police psychology. Shame is the ghost in the machine of the human mind. It can implant itself in the psyche before the first word is spoken, even before the first thought has formed. 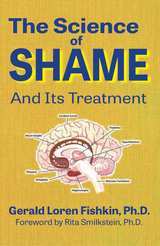 In his groundbreaking book, The Science of Shame and Its Treatment, psychotherapist and author Gerald Loren Fishkin, Ph.D., addresses the genesis of shame and self-talk from an empirical analysis of their core elements, its insidious ingress into conscious thought, and the havoc it inflicts on a person’s self-worth and behavior. This book is a must-read for clinicians, addiction specialists, teachers, students of human behavior, counselors, social workers, patients in treatment. 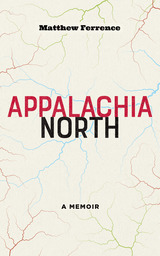 Folktales from the African American Appalachian tradition. Told by Lyn Ford, one of America’s busiest touring storytellers. 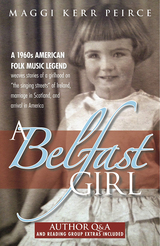 The power of Lyn's storytelling comes straight out of her family heritage, which is the content of this, her first book. Here she tells how she learned stories from her father and grandfather—and she includes many of the stories they told her. 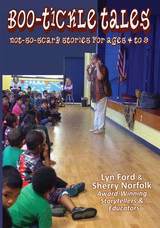 Lyn Ford, an African-American storyteller honored by her peers nationally retells traditional stories and folkways from her cultural heritage. 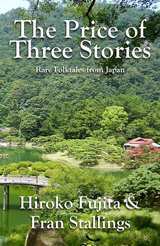 In addition, she provides readers with insights and historic perspective of these tales by including notes and references to extensive resources regarding the folktales she tells and the history that brought them to us. 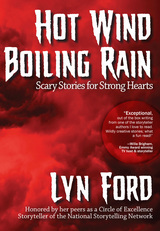 Hot Wind Boiling Rain: Scary Stories for Strong Hearts is a collection of original creepy tales, contemporary folktale variants with source notes and creative writing ideas. The attraction of scary stories begins very early in childhood, but the fortitude to be truly scared comes later. So where are the scary stories for young children? Educators and storytellers, Ford and Norfolk deliver a silly and gently spooky collection of jumps, laughs, interactive moments, and mostly happy endings to satisfy the curious-for-creepy Pre-K through Grade 4 set. Their weirdly funny and gently scary collection of adapted folktales, original stories, and verses will delight those who enjoy being surprised more than being scared. Audiences ages 4-9, who like creepy but not-too-scary stories. Twelve pen-and-ink drawings based on folktale motifs complement the fanciful tone of the book. 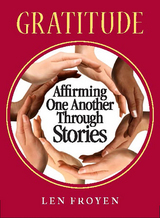 Study of Gratitude, it's practice and impact are ideal for group discussion and personal study. 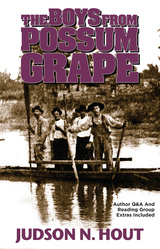 Sue Cato Gennings’ first novel traces two young immigrant brothers from early adulthood in Tidewater Virginia to successful entrepreneurship in northern Georgia during the late Nineteenth and early Twentieth Centuries. Penniless but energetic, the brothers struggle to refine and realize their dreams of family and business success. Their paths explore themes of family, ambition, honor, and maturation, finding resolutions as distinct as their characters. 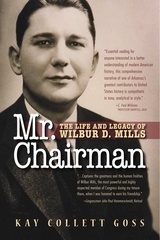 No-holds barred bio of national budget czar (during the 1950s and 1960s), Wilbur D. Mills, who was Chairman of the United States House of Representatives Committee on Ways and Means for nineteen years. Mills tutuladge of young congressman, such as George H.W. Bush (the future president #41) and detailed knowledge of the United States Tax Code, as well as his behind-the-scenes network of information and the leanings of congressional members earned him high regard in the eyes of presidents Eisenhower, Kennedy, and Nixon. Mills' career came to an abrupt end when he was found at the Tidal Basin with exotic dancer, Fanny Foxe. The text describes both Mills the powerful politician and Mills' sometimes troubled personal life with clarity and in detail. 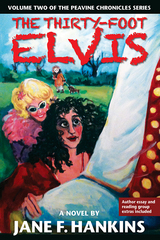 This hilarious send-up of outlandish Southern characters includes a beautician, a luncheonette waitress, a radio evangelist, the widow of a gas and oil distributror and the residents of a fictional mobile home park in Arkansas as they find uproarious ways to enjoy life, needle each other, and remember the dear-departed. Set in the 1980s, when Bill Clinton was governor of Arkansas, this Flaggesque exploration of Southern characters is filled with plot twists, character surprises, New Orleans parties and true love. The second volume in the Peavine Chronicles Series, Hankins undergirds the narrative with a whimsical spirituality and delivers belly-laugh reading enjoyment with an afterglow. Handbook for managers and leaders in business and orginazations who seek to enhance customer or client experience. This book is written for the one percent of this world that desires to be the best and most importantly, will pay the price to get there. What you will find in life is that one hundred percent of the world wants to be great but it is that one percent that will pay the price to get there. The other ninety-nine percent will criticize you for trying to get there. Have courage and proceed anyway, even though you may be alone. Set in the days of small, local banks when embarrassing entrepreneurs were the one family in town who bought a new car every year—those cars everyone else called ‘gunboats—and the bad guys came with black hats, this rollicking send-up of stupid criminals who even Barnie Fife could have outwitted makes for belly-laughs while reading and memories that will bring smiles to readers’ faces. A teen’s life is complicated. Add an overworked dad, a distraught mom. Enter an old man from the wrong side of the tracks. He knows things. He’s there when you need him. This happens to someone; it’s not a maybe thing. People get hurt. People die. There’s a dad who loves his kid but works all the time. When he doesn’t work, he drinks. When he drinks he’s out of control. There’s a mom. She knows dad is overworked, a good man carrying too much responsibility. The kid turns to the handy man to learn a man’s skills. In the old man from the wrong side of the tracks, the kid finds unusual skills and terrible—but true—lessons. He finds that his own safety comes at a cost to his unfortunate friend. He finds growing up comes at a cost to himself. This is the story of such a kid, told by himself after he has lived much of his life, come to terms with his parents’ weaknesses, and learned that seemingly insignificant people carry more pain than he can imagine, though he has already seen plenty. “Set in Arkansas during World War II, Hout’s touching story of an orphaned boy's relationship with the inhabitant of a small town's "haunted house” will keep you guessing, right up to the satisfying ending. 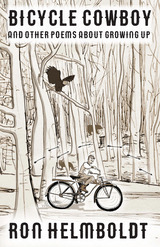 Another endearing novel from Judson Hout." 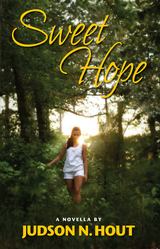 Love waits for one woman in this charming story of love lost and then found. An exposition of fractured stories, of the strategies for fracturing them and inspired variations to choose from when an old story may benefit from a makeover and new life. "Betting the Earth explores the uneasy parallels between our contemporary environmental challenges and our national fascination with gambling. How much should we bet on preserving biodiversity? Should we bet more on responding to climate change? where should we place each bet: on federal or state laws, on acquiring public or private preserves, on preventing environmental harms or saving places of special environmental significance? Like it or not, we must make such choices every day, and Betting the Earth helps us to understand how we do so." The Manager's Guide for Staying in First Place ... and the worker's guide for becoming a manager! Cubs fans have often focused on one or two star performers, to the detriment of the team's overall performance. highly-readable book that's hot off the press! 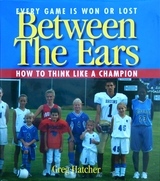 Foreword by bestselling-author Ken Blanchard. 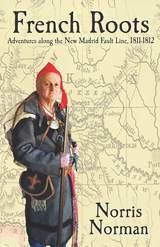 Written in the style of a man who knows James Michener (1907-1997) well, The Road to Mariontown is meticulously researched, engaging and entertaining. 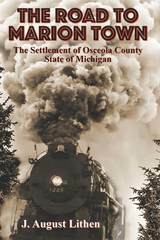 The book presents a richly detailed history of Osceola County and early Michigan. This long-view history of Osceola County, Michigan, focuses on geologic history, native cultures, exploration by European and American Whites, Entrepreneurial development, governmental formation, railroad-building, and a rich social history. Lithen’s history—twelve years in the research and writing—is a labor of love unparalleled in writing of the area; taking the reader on a journey through time that concludes with with the devastating village of Marion fire of 1904. A Visual Guide to Classical Art Theory is great for both traditional and non-traditional media. Each page, theory and diagram represents a different tool for the artist to use. Through their use, the artist will find an infinite number of solutions. Artists also may use the book to create a trompe-l’oeil effect in graffiti art or the illusion of volume and depth on the computer. 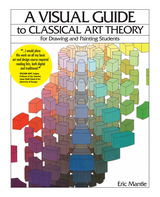 A Visual Guide to Art Theory is presented in a unique, non-verbal format that clearly illustrates the effect of perspective on color, light and shade. The year 1816 in Delaware and surrounding states was known as “the year without a summer” due to debris from the eruption of Mt. Tambora that tainted most of the Northern hemisphere with chill and darkness. This time of chill and darkness provides the setting for this ambitious tale of people divided by the institution of slavery, ignorance, greed and social isolation and the triumph of a few people of character over impossible odds. Historians H.A. Maxson and Claudia H. Young bring alive this little known time and place in America. Their collaboration results in a memorable tale of loyalty and betrayal, compassion and cruelty, and of dauntless courage and creativity. Comfort is a talented young seamstress who has worked to buy her freedom from slavery from her benevolent owner, an Irish immigrant and former indentured servant. Her husband Cuff is an unwise, irresponsible and weak man who sells his wife to pay his gambling debt. When Comfort falls into the hands of the reprehensible dealer of human flesh Joe Johnson, she is sold south to Virginia, to a cruel master and poor manager. Comfort’s stalwart friend Esther, is a slave whose skin is pale enough for her to pass as white. Esther possesses an extensive knowledge of “Roots”, the native art of using plants for therapeutic and not-so-therapeutic purposes. Esther pairs with Pompey, a mute freed slave who is clever and resourceful, to escape her sadistic owner, travel south to find Comfort and help her find her way back to freedom and her baby girl. Comfort tells the story of how shared morality and character can lead to unlikely partnerships in intrepid heroism. 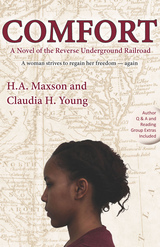 This extraordinary work by veteran authors sets a new standard for interpretation of the reverse underground railroad. 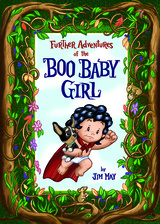 Something of a quest story for the picture book set, this playful horror tale sets young protagonists against “the Ghost of of Mable’s Gable.” In Jim May’s version of a story from children’s folklore, eighth grade boys swagger but fail, only to be followed by outdone by an unlikely heroine, “the Boo Baby Girl,” a toddler who will not be denied. The Boo Baby girl tires of the boring life of a baby, crawling around, getting up, falling down, walking around the coffee table, falling down . . . she aims for more so she climbs out the window—miraculously, as soon as she is out the window she can walk, run, climb, and talk like a grownup. So she heads out to seek her fortune. She saves Bootsie, who is bilingual. He thanks her in Spanish: “Muchas Gracias mi muchacha.” She does not understand so not only do they have adventures for the rest of the book but he teaches her some fun Spanish phrases like: NO TOQUEZ NADA (Don’t Touch!) if someone is bothering them. 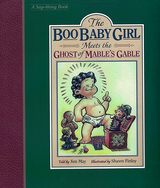 Their main job is to face ghosts, and monsters, demons: boogies, the boo hag, banshees, and . . .
"A brilliant mixture of story, philosophy, humor and wisdom, this book reminds us that---if we are open to story, dreams, imagination, and myth---we can open doors within our soul." 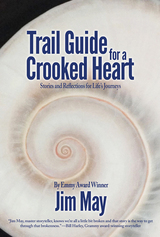 A lifetime collection of stories, wise words, assembled musings and quotations about overcoming hurdles, elusive enlightenment, personal evolution, persistence in the face of discouragement, this pastiche is designed to encourage the downhearted, lift up the strivers, and add wings to the heels of spiritual seekers. 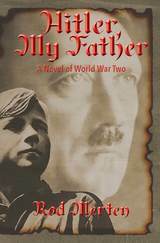 Hitler, My Father: A Novel of World War Two, Hitler's Unknown Lover, and Son. An adoring young woman encounters Adolph Hitler when her youth group sings for him. He demands her company in private, and she becomes pregnant, bearing his child but never being contacted by Hitler again. 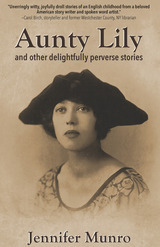 The plot follows her life as an outcast believed to be lying about the child’s parentage, and the life of her son told through her correspondence, diary entries, and from the point of view of a researcher who writes a generation later. Based on facts and documented history, author Ron Merten tells this tale with just enough creativity to make the story fascinating. Mike Moran first attended Little Rock Catholic High School for Boys-all four years. On the basketball team, he was a point guard. Then, as "Mr. Moran," he taught English for forty years, also at Little Rock Catholic High School for Boys. 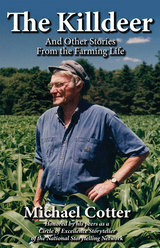 Recently retired, Moran wrote the boys a novel. 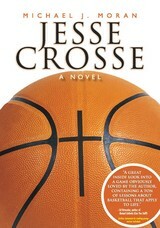 The tale revolves around a struggling small-town basketball team with a nerdy manager and a Walter Mittyesque coach. Presented with too few players to scrimmage in practice, the manager takes it upon himself to spread the word throughout the school: "We need you on the team." Three young students appear, diminutive in stature and with scrawny chests, unimpressive at first sight. But with the trio, and their fleet leader Jesse Crosse, the team first experiences shock, then inspiration and constant surprises. The team bonds, leading to stories that will be retold a very long time in a small, out-of-the-way town. It's not a long novel; like one's high school years, it goes by before you know it. Only the message is eternal. Munro’s stories were born five decades ago in a small English village where children were seen and not heard, fathers were wacky, neighbors were snoopy, and maiden aunts were beautifully crafted artifices. Her original stories, dolloped with characters reminiscent of those from her childhood, telling of domestic shenanigans and outings gone revealingly awry are written with meticulous timing. 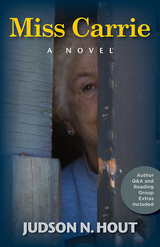 Rich in details about the frailty and strength of the human spirit, her stories resonate with the truth of what is means to be human. In the space of the thirty-some years I have called myself a storyteller, the balance of what I tell has shifted from children’s stories and traditional folk and fairy tales told in schools, churches, and community centers to stories drawn directly from my own experiences. But I also understand that by adapting and re-imagining traditional folk and fairy tale material, you can provide a point of entry for contemporary listeners to experience, as psychologist Bruno Bettelheim has suggested in his book The Uses of Enchantment, the continuing power of the old stories to speak to the imagination and heart. 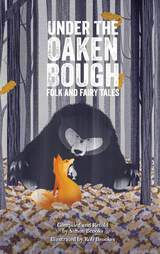 Wanting to make a connection between the older stories and our existential circumstance, I sought to re-interpret folk and fairy tales by placing them in a more contemporary context. The confusing Black Forest of the Brothers Grimm became the crowded shopping mall. Rapunzel’s mother sought a more familiar drug than the painkilling herbs of the witch’s garden. 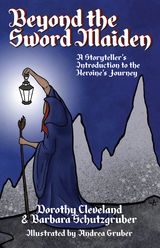 I also created stories that were in the style of the older folk and fairy tales. One featured a lowly cucumber plant that, after consuming radioactive water and junk-food compost, became the glowing, green Godzilla of pickles. Another featured a boy named Jack, who found fame and fortune racing inner-city cockroaches. In creating and performing original stories and reimagined folk tales, as well as teaching stories to students of all ages, it has become clear to me that how we tell the story, as much as why, is at the very heart of the art. By “how,” I do not mean how we use voice and gesture, etc., but how we organize stories to get across their meanings to an audience. There are two central facts at the heart of the oral story. The first is that it begins when the teller begins and ends when the teller ends it, though I could argue that it actually ends when the audience dismisses it. This is fundamentally different from the written story, where a reader can go back and read the same words again. With the spoken word, we are in the moment. Even if we could ask the teller to go back and say something again, the very act of asking would alter the way in which the information is conveyed to us. This leads directly to the second basic fact: the act of telling is an expression of the relationship of the teller to the audience. We always tell to someone, even if it is to ourselves. It is incumbent upon us to recognize that the choice we make about how we tell a story to a given audience is as much about our understanding of who that audience is as it is about what we are saying to the audience. It is this crucial understanding of how the narrative is shaped and the choices we make as tellers to share a particular version of a story with a particular audience that I wish to explore with you. Whether we are working with a live audience in performance or with an imagined one while typing away on our laptops, the creation of compelling fiction and non-fiction begins with how to frame the story. This book is for storytellers and would-be storytellers, whether you call yourself a writer, minister, politician, journalist, lawyer, teacher, therapist, or street-corner b.s.’er. Whatever the name, the benefit you derive from the application of this material to your creative process will come from understanding how narrative is shaped and making conscious decisions about shaping that narrative content. 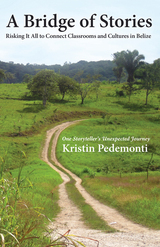 This book was developed in workshops and classes I’ve conducted with storytellers and writers since 1986. In the course of those years, this teaching practice has refined my thinking and improved my ability to help participants discover new approaches to creating powerful, authentic, and entertaining stories. Much of what I say will be framed around the creation of stories as oral performance, but the concepts and exercises I suggest apply to written material as well. 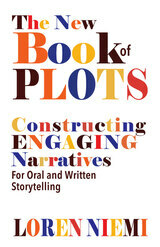 Whether the stories are oral or written, this book is about three things: the choice of an appropriate narrative form to provide the story’s structure, the choice of an appropriate point of view and timeframe to support the story’s emotional arc, and how those choices help or hinder the transmission of the meaning of the story to an audience. 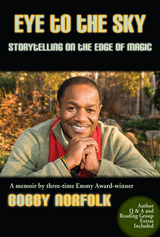 Nobody knows how to tell a story like Bobby Norfolk, and here he tells his own life story. Norfolk grew up in hardscrabble neighborhoods of Saint Louis, Missouri, during the 1950s and 60s, sometimes walking to elementary school from an apartment his parents could not afford to heat. Lifting himself up by force of will and God-given talent, Norfolk defeated a childhood stutter to become a high school dramatist and later an exceptional college student. The path was never easy—and often frightening. With men of color being killed all-too-frequently in America, Norfolk sought a personal identity based upon talent and hard work, but also upon where safety and justice might be found. He tells these stories—some heartwarming or humorous, some frightful and treacherous—honestly, with a graceful mindfulness that all would do well to emulate. 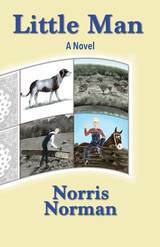 "Norris Norman has picked a very difficult subject for his book and has done wonders with it. There is probably no more obscure part of the history of Arkansas than the period in which this book is situated, namely, the second decade of the nineteenth century. Mr. Norman makes it come alive in a very convincing way. 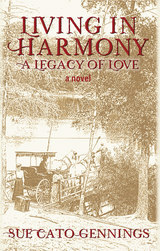 His main character, a French/Indian mixed-blood or metis, is carefully crafted and is ideally positioned to tell the tale of the New Madrid earthquake, the early White settlers of a newly-American Arkansas, and the daily lives of Indians and Europeans alike..."
Little Man chronicles the adventures of Amos, his mule and his dog as they settle with their family in northeastern Arkansas in the early 1800s. In these historically accurate tales, young Amos, his mule and his dog encounter the challenges of making a home and a living along the Little Sandy River. The climate, the river's seasonal changes of mood, moonshiners, wild hogs, and more contribute to the development of Amos into a grown man. 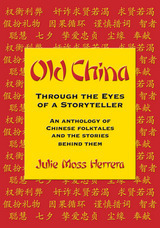 “Old stories are universal and want to be told. To bring those stories out into the world as a vehicle for navigating sobriety and recovery is a glorious thing. In this comprehensive introduction to nuclear physics, related national and international policy issues from Dr. Pete Pella, Gettysburg College nuclear physicist, educators will find a definitive textbook on the peaceful and military uses of nuclear energy. 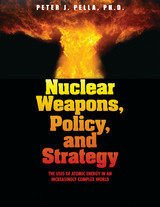 Pella traces both the scientific evolution and political history of nuclear power and arms, bringing us to current events including nuclear plant development, status of treaties, U.S.-Russia disarmament efforts, and policing of rogue nations. Must reading for the world’s citizens concerned about these vital issues. HE MADE HISTORY. HE TELLS THE TRUTHS HE KNOWS. "Terrence Roberts is in the truest sense an upstander - an individual whose voice and actions compel us to explore difficult topics and challenge us to face our shared history, honestly. His words and reflections celebrate the notion of difference, model socially responsible behavior and promote tolerance in our daily lives. 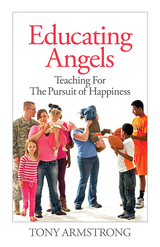 Reading this book, you will be inspired, in Dr. Roberts's words, to 'think beyond the ordinary." ----Margot Stern Strom, Executive Director, Facing History and Ourselves, Inc.
"Terrence Roberts challenges all of us to make the world more inclusive by adjusting our 'mental maps.' He reminds us that we will not achieve that long-sought beloved community until we recognize the value of each individual-until we affirm each other. Simple, NotEasy is one trailblazer's mingling of history and contemporary mattersto engage a new conversations on community, social responsibility and tolerance. A powerful book by a civil rights legend." 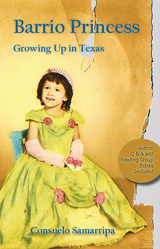 "Made in Mexico, born in America," Barrio Princess shares heartwarming family stories, cultural tradition stories, learning English by total immersion, socialization as a minority, education, stories of her mother as a single parent, and women’s stories from a minority point of view. Nobel Prize winning economist and former World Bank Chief Economist, Joseph Stiglitz, has repeatedly discussed the importance of transparency in policymaking at the World Bank and International Monetary Fund. He believes a lack of transparency in the two institutions has lead to bad decisions. Bad decisions at IMF and the World Bank mean real pain for the world’s poor. There is a perception that “the suits” close the World Bank’s doors to deliberate the fate of earth’s poorest populations and only when the doors are unlocked do people living in poverty learn what has been decided about their future. Meanwhile donations are down. The bank’s critical International Development Association’s funding has dropped dramatically. Managers are discouraged by studies examining the World Bank’s effectiveness. How, they wonder, could such large beneficences have so little impact on poor populations? Events of the past two years have only increased the stakes. First, rising fuel prices caused a worldwide rise in the price of basic foods. Then the deepest economic downturn since the Great Depression sapped donor nation’s coffers. By the end of the Bush administration in 2009, giving by the USA lagged more than any other wealthy nation. In 1999, two Bank researchers understood the situation was already on a precipice. World Bank loans had ceased to make significant impact on poverty in many client nations. Certain governments and multi-national corporations were destroying environments and desecrating indigenous cultures, all to achieve short-term gains for a fortunate few. Demonstrable successes were few, and every World Bank conference became a melee of demonstrators and police. The two researchers asked themselves whether it was possible to open up the institution by increased transparency, improve its accountability, and mute criticism. They decided to launch an internet-based broadcast to disseminate unedited videos of internal discussions and debates. The bank’s culture and bureaucracy, hardened over a half-century, presented them with a formidable foe. Some powerful officials feared the transparency initiative; others withheld public support while standing on the sidelines. The World Bank Unveiled documents this epic struggle. It is the story of a revolution to transform the World Bank and a case study of the power of the Bank to transform people’s lives. •How most disturbed characters think. •The habitual behaviors the disturbed use to avoid responsibility and to manipulate, deceive, and exploit others. •Why victims in relationships with disturbed characters do not get help they need from traditional therapies. •A straightforward guide to recognizing and understanding all relevant personality types, especially those most likely to undermine relationships. •A new framework for making sense of the crazy world many find themselves in when there's a disturbed character in their lives. •Concrete principles that promote responsibility and positive change when engaging disturbed characters. •Tactics (for both lay persons and therapists) to lessen the chances for victimization and empower those who would otherwise be victims in their relationships with many types of disturbed characters. * How to spot potential weaknesses in your character that can set you up for manipulation. The Radical Act of Community Storytelling is everything it claims in the title. 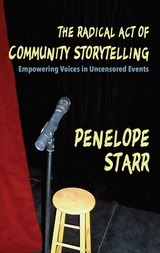 It is the story of a radical step of faith taken by Penelope Starr to open her life by bringing community storytelling to her community. It is the story of voices that often go unheard having the opportunity to speak and be heard. And it is about community building from start to finish ... including everything any radical would need to start a community storytelling organization in any community. 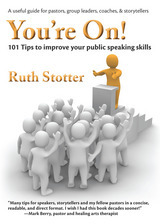 A useful guide for pastors, group leaders, coaches, & storytellers, Ruth Stotter’s little guide will boost your confidence if you are new to public speaking, and it will remind experienced speakers of the basics that insure success in front of large audiences and small. The author’s experience as a college instructor and as a professional storyteller gives her the unique perspective to coach beginning and seasoned speakers. Arranged in an “info-bit” format, this is the kind of guide that can be read and re-read during short breaks from other work. 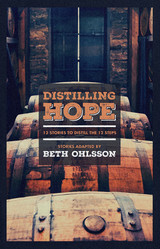 This book is a useful guide for pastors, group leaders, coaches, and storytellers. Accolades to Erica Taylor for Figler: My Imaginary Friend. Taylor takes her readers on a journey of self-realization as a child comes to ultimately discover that the wonderful abilities possessed by Figler, the beloved imaginary friend, are talents (he/she) also possesses. The whimsical illustrations draw readers into the main character’s journey of self-discovery. 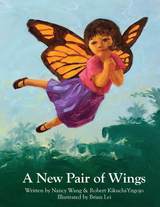 This book offers a delightful poetic read inspiring young readers to dare to imagine and reach for the impossible. In writing a nativity story from the point of view of a boy who lives in the stable, Shirley Taylor has given us a vivid account of Christ’s birth and a motivating experience to readers and hearers, alike. Likely to become an ‘instant classic’ of Christian literature, this simple story will inspire thousands of retellings by pastors, Christian educators, parents and grandparents. 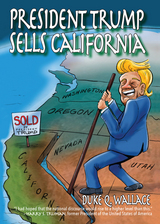 A short political satire in which a President Trump nationalizes the Girl Scouts, privatizes the Supreme Court, and sells the state of California—his way of paying off the Federal debt. 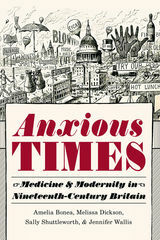 Nine brief chapters, each one resolving a real national issue with an excess of creativity and zeal. What happens when the zeal is spent? Director Michael Wilson and producer Natalie Zimmerman, in their documentary film Silhouette City, have dramatically captured the religious right's concerted effort to form a theocracy in America, with an aim to spread control worldwide. This insightful book, Kingdom at Any Cost, includes valuable interviews and writings not covered in the film, but further revealing the impact of the ominous religious movement. It serves as a powerful resource: a handbook for studying the film and a reader for examining America's contemporary Christian extremes. Collected poems of a Midwest naturalist-bard. 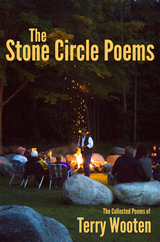 A lifetime retrospective of poems written and spoken from memory by Terry Wooten, poet and creator of Michigan’ Stone Circle poetry recitation venue. 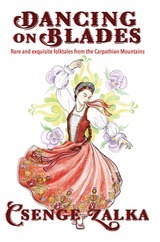 Readers of folktales will relish this collection of rare stories from Hungary. Although the tales were told over one hundred years ago, Zalka's research, translation and embellishments have given these almost-lost stories new lives and fresh faces. A Novel of World War Two, Hitler's Unknown Lover, and Son.